Sailor Moon Scout - What is your real personality? Sailor Moon is just one more reason it's great to be a girl! Shoujos rule! Umm...sorry, guys. We know you adore her, too. :-) What's not to love about this magical girl who fights evil under the moon's rays, and wins love all her days? Nope, it's just not possible to overstate the Sailor Moon effect. The thrills and romance of Naoko Takeuchi's timeless characters and stories inspired 18 original volumes over five seasons...multiple musicals...an awesome live-action series...plus the resplendent reboot, Sailor Moon Crystal! We want more - and more and MORE! Thank goodness (and Toonami/Cartoon Network) that this magical manga made it to the mainstream where we could discover it for ourselves! And thank you, test-takers, for dropping by and taking a few Sailor Moon quizzes today. Want to know which Sailor Guardian, Sailor Soldier or Sailor Senshi you're most like? Find out here! And feel free to add your own quiz if you're feeling inspired! Which Sailor scout are you most like? TAKE THIS QUIZ AND FIND OUT! Take this quiz to find out which Sailor Guardian you are most similar to. The answer might surprise you! Do you want to find out what Sailor Scout / Sailor Senshi you are? Take this quiz and find out! Ever wonder which Sailor Soldier you're most like? Take this quiz to find out! This is for Sailor Moon fans. Are you Sailor Moon, Sailor Mercury, Sailor Mars, Sailor Jupiter, or Sailor Venus? This is a fun quiz that shows you what sailor scout you are from the coolest show ever, Sailor Moon! ='. '= HAVE FUN! Are you most like Serena, Amy, Raye, Lita, or Luna? 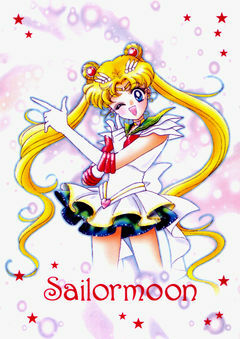 Are you ditzy like Usagi, smart like Ami, or a take charge type like Rei? Why don't we find out? Which Sailor Moon Character are you most like? Are you most like Sailor Moon, Sailor Mercury, Sailor Mars, Sailor Jupiter, or Sailor Venus? You are Sailor Moon! You may be a bit ditzy, but when your friends need you, you pull through with amazing strength. You will stop at nothing to save your friends.